We’ve been emphasizing a number of long term care insurance topics lately because this is an absolutely essential area for wealth preservation. We are committed to wealth building through life insurance strategies, and these two core values (wealth preservation and wealth building) converge at the vortex of cash value life insurance and Medicaid spend down rules. If this all sounds complicated, stay with me because we’re going to make this all fairly easy to understand. To set the stage, this topic is critical because your TOP WEALTH DEPLETION RISK is arguably long term healthcare costs, followed by random lawsuits as a distant second as far as asset protection is concerned. For aging adults who may require long term medical care for chronic conditions, it is important to understand long term care options and how this impacts asset protection and estate planning strategies. As we’ve previously discussed, Medicaid is a federally sponsored program that is adopted by the various states. Thus, is it is important to know your state’s Medicaid eligibility rules as they relate to the overall federal guidelines. The states tend to differ on Medicaid eligibility in the same way that they do concerning other kinds of asset protection laws and other regulations governing social programs such as welfare. Medicaid is intended to pay for medical care for chronic conditions where at least 2 of 6 activities of daily living (ADL) are permanently impaired (generally over 90 days). This kind of care is also referred to as skilled nursing care. Medicaid is often confused with Medicare, which is an insurance program with deductibles that is not need based. Medicare is funded similarly to social security benefits and is usually utilized for critical care (surgeries, lifesaving procedures and hospital visits) within the 90 day period often prior to a Medicaid application. At the end of the day, Medicaid is a welfare program, designed for the elderly but also utilized by younger people who are deemed disabled and qualified for need based disability benefits (SSI). Because Medicaid is a welfare program, you are only allowed to keep a certain amount of assets in order to be eligible for Medicaid benefits. Assets are generally divided into “exempt” and “non-exempt” categories. with the former not being a factor in Medicaid eligibility and the latter being subject to the states’ “spend down” requirements. The states tend to vary a bit in these Medicaid requirements; however, it’s pretty standard to require that any applicant must first have spent away assets to around $2,100 in non-exempt assets. For the “well spouse” of the applicant, they are generally allowed to keep around $120,000. There are also income restrictions in each state that applicants need to understand when applying. The exempt categories of assets may differ a bit between states but generally include the exemption of a family home and other necessary assets such as a vehicle. Certain types of qualified annuities are exempt as well as an income producing IRA, etc. Sometimes if assets are converted into Medicaid friendly annuities or trusts, a “Medicaid repayment or recovery” to the state is required. Otherwise, an exempt asset means what it sounds like and allows the applicant to keep that asset and still apply for Medicaid benefits. As you can imagine, categories of exempt assets are limited and appear to be tightening. Life insurance is an asset. That means your cash value life insurance, or permanent life insurance policy, is not an “exempt” or “qualified” asset under the Medicaid rules either under the federal or various state rules. This means that like other “non-exempt” assets, the cash value accrued in your life insurance policy will have to be spent down in order to qualify for your state’s Medicaid program. Regardless whether the policy is a whole life or universal life policy, is recognized as a countable asset. This means that the cash value accrued in your life insurance policy must be spent if you’re seeking to qualify for a state Medicaid program unless another option is pursued. ASSET TRANSFER ALERT – A important note about gifting away assets is that this can result in Medicaid penalties due to “look-back periods” that range between 36 months and 5 years depending on state laws. Thus, transfers of assets for less than fair market value do NOT offer viable asset protection solutions unless transfers are accomplished well in advance of requiring Medicaid. These look-back period rules would apply to any transfer of a life insurance policy as well as other non-exempt assets. Penalties are generally based upon the value of the transferred asset divided by the average monthly cost of care in the geographic area. Typical costs of care range from $5,000 to $8000 per month, so you can do the math. To follow the spend down rules, a life insurance policy would either have to be surrendered for its cash value OR converted for its market value and the proceeds can be used to pay for long term medical care. Alternatives to surrendering a policy and spending down are recommended to preserve a portion of death benefit. The spend down situation does NOT appear to be improving with tightening state Medicaid budgets facing extreme pressure leading to aggressive asset recovery efforts. It is not uncommon for an estate to be aggressively pursued in legal action by state governments to recover assets for Medicaid repayment. Another consideration is whether adult children will be increasingly called upon to cover aging parents’ long term care costs under filial responsibility laws. These laws are already in place in many states and could result in legal action against adult children to pay a parent’s medical bills. However, there are a silver lining in this gloominess and this brings us back to some long term care insurance options. States have considered a number of ways to encourage people to use private funds to pay for long-term chronic care. One solution that was passed unanimously by the National Conference of Insurance Legislators (NCOIL) adopted a disclosure law that requires an insurance company to inform consumers that they have a number of alternatives to surrendering a policy. Life insurance companies offer policies sold as Long Term Care Benefit Plans a/k/a Assurance Benefit Plans(1) to pay for long-term care, and also include home care and assisted living which are not generally covered by traditional Medicaid. 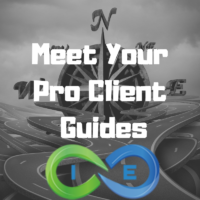 The life insurance companies also offer solutions such as chronic illness riders AND long term care riders, which allow a portion of the policy death benefit to be used for long term care costs while also preserving a portion of the death benefit coverage. Another way that the states have acted to encourage the use of private funds to pay for long-term care is the Medicaid partnership programs. In a nutshell, these programs allow Medicaid applicants to offset the required spend down with amount of benefits paid from a partnership eligible long term care insurance policy. Here again, it is important to understand your state’s options when it comes to partnership eligible coverage. Finally, the government further incentives LTC coverage by allowing the potential tax breaks by making long-term care insurance premiums tax deductible in certain instances. The take away from all of the above is to get started researching the pros and cons of long term care insurance. 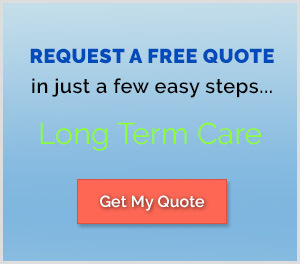 If you need guidance concerning any long term care question such as what does a long term care policy cost OR our suggested top 10 best long term care insurance companies OR connect with us to learn more today. How can I plan ahead to avoid life insurance affecting my Medicaid eligibility? Apart from our recommendation above about Assurance Benefit Plans, another step to take would be to transfer your insurance coverage to an irrevocable life insurance trust (ILIT). In doing so, you will still maintain the life insurance coverage for your beneficiaries. However, you will essentially remove the asset from your estate, but you must do it well in advance of needing Medicaid (see ASSET TRANSFER ALERT above). Depending on your state’s laws, there a look-back period ranging from 36 to 60 months from the time you transferred your policy into an ILIT to the time you applied for Medicaid. Can Medicare take my life insurance death benefit from my beneficiary? It is possible that a state will go after the beneficiary of your life insurance under an estate recovery program. Not every state has the same rules and regulations surrounding Medicare recovery programs. But you should always err on the side of caution because Medicare expenses are a growing concern for most states. AS a result, you can expect tighter and tighter regulations on asset recovery under Medicaid recovery programs. Further, you might not even qualify for Medicaid if you have cash value in your life insurance policy in excess of $1,500. The key take away should be, if you are concerned about your beneficiaries receiving your life insurance death benefit, careful advanced planning is necessary.